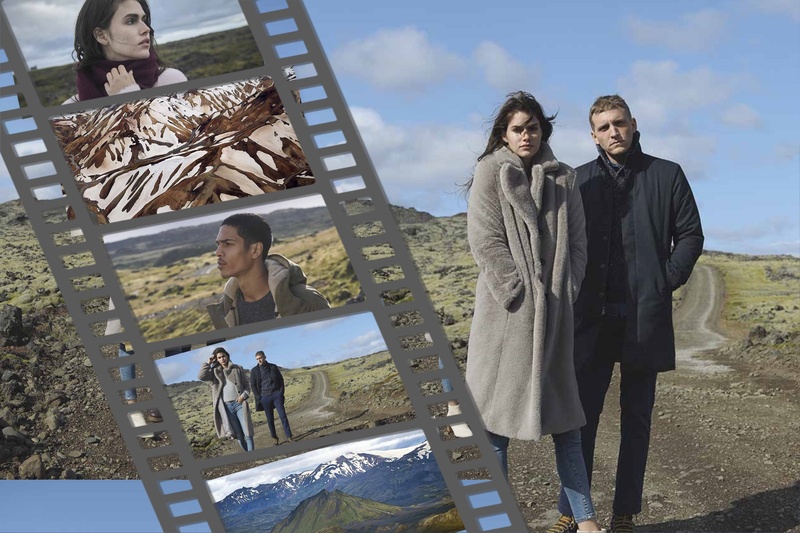 Iceland, the most sparsely populated country in Europe is the scene of the Banana Republic Holiday 2018 campaign which debuts globally on November 1, 2018. Volcanically and geologically active, Iceland has a rugged terrain that is sublime yet savage at the same time. In this picturesque setting, the Banana Republic Holiday campaign evokes the magic of the holiday season. Statement jackets, luxe knits and rich velvet pieces for her, and versatile trousers, earth-toned sweaters and rugged yet refined outerwear for him become the the brand’s pillars of quality, comfort and versatility for Holiday 2018. The campaign was shot across the scenic landscapes of Iceland – including the volcanic island of Dyrhólaey and its famed arched rock, the crags and caves of Hjörleifshöfði and the country’s coastal capital of Reykjavik. Iceland’s natural terrain is the perfect backdrop to the collection’s icy pallet dreamy textures and performance textiles that inspire to embrace the elements.